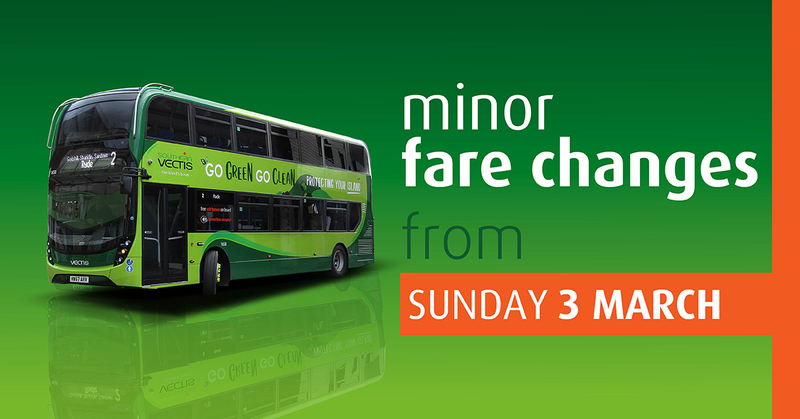 As of 3rd March, there will be small fare changes made to our 7, 30 and 90 day Freedom tickets and our Multi-day Bundles. Meanwhile, we’re proud to maintain a price freeze on our 24 and 48 hour Rover tickets, one of our most popular bus fares for exploring the Island. Night riders and single fares also remain unchanged. For ease and quicker boarding, we recommend downloading our Clickit2Ride app. Here you can purchase your adult 7, 30 or 90 day Freedom ticket in advance, storing your pass on the APP and scanning to travel. Young Adult, Child and Group Freedom tickets can be bought from our Travel Shop in Ryde, Newport or Yarmouth, or via The Key. A 7 day Freedom ticket can also be bought direct from your driver. Our multi-day ticket bundles are currently available to buy from one of our Travel Shops, or via The Key. Please find updated fares from 3rd March 2019 below.